The number of women coaching women’s teams in the NCAA continues to plummet since the passage of Title IX nearly 40 years ago. The 1972 passage of the federal law was supposed to result in equality in men’s and women’s intercollegiate athletics. It is true that during that period women’s participation in college sports increased 500 percent, climbing from 30,000 a year in 1972 to 186,000 a year currently. However, during this unprecedented growth the opportunities for women to coach those female athletes has seen a dramatic downturn. The facts are: Women coaches oversaw 90 percent of women’s college teams in 1972. Now that percentage stands at 42.6 percent. Plus, only 5.3 percent of all women’s head coaching positions are currently held by African-Americans. That’s about to change. Dr. Judy Sweet and other women leaders in college sports are kicking off the Alliance of Women Coaches on May 16. The launch includes a new website at GoCoaches.org. Sweet is serving as co-director. She is one of the very first women in the nation selected to head a combined women’s and men’s intercollegiate athletic program and once was the NCAA’s primary contact for Title IX and Gender Equity Initiatives. The stated goal of the new alliance is: Improve the landscape for women coaches in all sports at all levels. Two main thrusts by the Alliance of Women Coaches designed to increase the diversity and number of women in the profession of coaching are ongoing professional development and networking designed to provide a support system for women coaches in various phases of their careers. Some have argued that rather than suggesting a gender bias exists, women coaches just need more mentoring and professional development on smaller stages before moving up to take over major college programs. As an example, Cori Close became the first woman hired to take over a Pacific 10 Conference women’s basketball program after the previous four Pac-10 openings went to men. UCLA hired Close after she had served as the Florida State University women’s basketball associate head coach for seven seasons. Sweet points out women coaches face many other obstacles to their career advancement. The alliance finds that in all sports women often are the only female coach at their college or part of a small group and feel isolated, subject to homophobia and negative recruiting, denied the resources to be competitive, paid less than their male counterparts, and the list goes on. 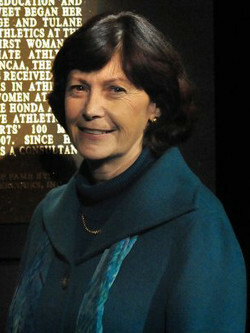 Dr. Judith M. Sweet is a leader in women’s intercollegiate athletics. She most recently served as NCAA Senior Vice President for Championships and Education Services from 2006-2010. Prior to working with the NCAA, Dr. Sweet spent 24 years at the University of California, San Diego, where she became one of the very first women in the nation selected to head a combined women’s and men’s intercollegiate athletic program. During her tenure, UCSD won a total of 24 conference championships and in 1998 won the Director’s Cup (then sponsored by the National Association of Collegiate Directors of Athletics). She served on numerous NCAA committees and in 1991 was elected to a 2-year term as Membership President of the NCAA. This came immediately after she served as secretary-treasurer for the NCAA from 1989-1991. She has won numerous awards throughout her career in sports.